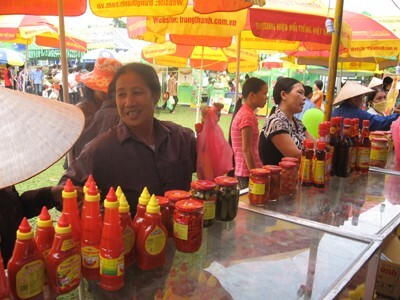 The international trade fair Vietnam – China 2010 “Link to develop together” took place from 16th to 21st Oct in Lang Son. 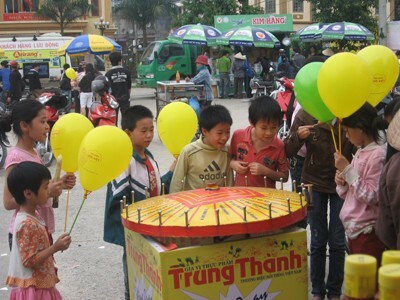 The fair was an activity to celebrate Vietnam – China Friendship Year 2010 and 60 years of liberation of Lang Son. Located at the border with China, Lang Son still remains its own characteristics. There are wild mountain scenes with innocent and idyllic ethnic people here. Lang Son is also a promising land for the invested enterprises. The fair “Link to develop together” was to connect Lang Son to all over the country, the domestic market to international market; also to introduce the potential and advantages of Lang Son. This was a good opportunity for many companies to promote products, brands with consumers in the country; and also a chance for enterprises and economic organizations in Vietnam and China to exchange information, trade promotion, exports ... to promote investment cooperation in various fields. Having seized the opportunity and realized Lang Son’s prospects, TrungThanh attended the International Trade Fair Vietnam - China the second time. 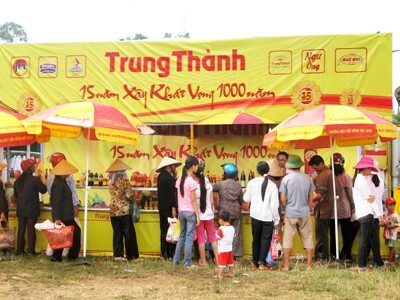 Due to the trust in brand name TrungThanh from previous trips, the people in Lang Son were so cheerful to choose the high quality products for their families.